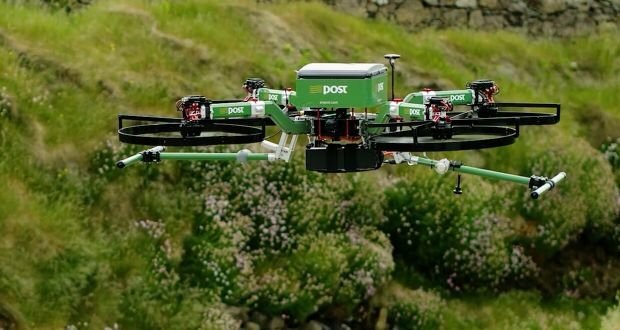 New York based ARK Investment Management has quantified how much a same-day drone delivery would cost compared with delivery truck and couriers. Given the 400 million annual shipments Amazon makes to US customers, an initial investment of $130 million to cover drone cost and support infrastructure and a budget of $350 million annually to cover operating expenses, Amazon would break even after the first year of operations. 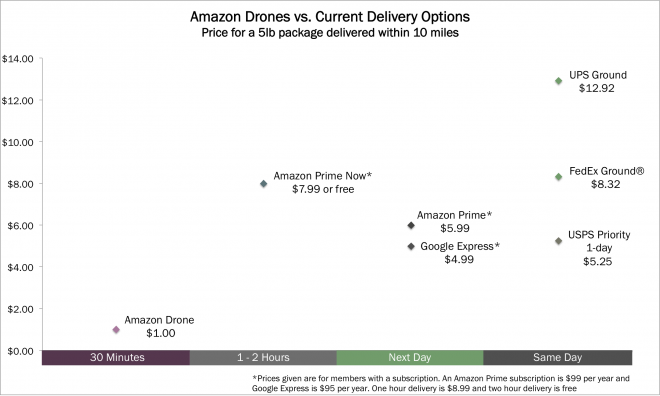 As the chart below shows, a similarly sized packaged would cost 8-13 times more for much longer delivery times. Although payload would be limited to 5 pounds (2.3 kg), this is of no consequence as approximately 86 % of all orders shipped by Amazon weigh less than this. What are your thoughts on ARK’s cost forecast for unmanned cargo delivery drones? Comment below!